The dialer and the phonebook share a single app although there are two shortcuts. The app uses a tabbed interface - recent with dialer, then there's the contact list and directory (a.k.a. groups). Contact info is displayed as a list of all available details. Custom ringtones can be selected for each contact and duplicate contacts can be merged into a single entry. The dialer supports Smart dialing and works great - it's looking up both names and phone numbers so you always find what you need. Xiaomi Redmi 1S supports voice call recording and it can do it automatically on each call if you like. You can also assign an answer gesture, pre-define quick responses upon reject, there is even support for internet calling. There are even more call settings if you dig deeper into the menu - flip to mute the ringer, turn on/off the proximity sensor, lock automatically once slipped in a pocket, it can even mute calls from unknown numbers. 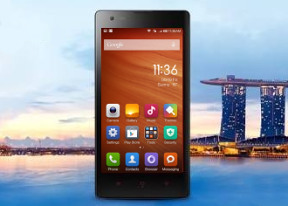 The Xiaomi Redmi 1S scored an Average mark on our loudspeaker tests, meaning you may miss some calls and notifications if you are in a noisy environment and don't keep a close eye on it. The messaging department is pretty standard - there's a list of all bubble-styled conversations organized in threads, with New Message and Search keys at the bottom and a settings button next to it. Attaching multimedia to a message will automatically turn it into an MMS. You can add everything from photos, videos, audio to general files. There's even a full blown slide editor if you want to make full use of the MMS standard. The Attach location option is pretty nice too. Moving on to email, the Gmail app (if included) has handy shortcuts at the bottom of the screen and supports batch operations, which allow multiple emails to be archived, labeled or deleted. The default app supports multiple Gmail accounts, but there's no unified inbox. There is also a generic Email app for all your other email accounts and it can handle multiple Exchange, POP or IMAP inboxes. You have access to the messages in the original folders that are created online, side by side with the standard local ones such as inbox, drafts and sent items. MIUI offers two keyboards by default. The first one is Google keyboard - it has always been pleasure to use and is one of the most preferred Android keyboards out there. On this screen the keys are comfortably large in both portrait and landscape mode. There is support for gesture typing, handwriting and voice input. The second one is the wide-spread SwiftKey. It is chosen by default since the initial setup, but you can change it later from Settings. It is among the best we've seen to date, heavily relying on swype input.